With medieval and ancient motifs trending full circle, cabochon jewelry has come round back into fashion। While most gemstones are faceted to reveal their beauty, cabochons have a beauty that’s more than skin deep। Beneath the smooth, rounded exteriors, cabochons exhibit a more subtle sparkle. With trends drawing from medieval motifs and ancient civilizations on the increase, cabochons are becoming more acknowledged and accepted for their understated elegance. Larger carats make for dramatic statements and true genuineness. 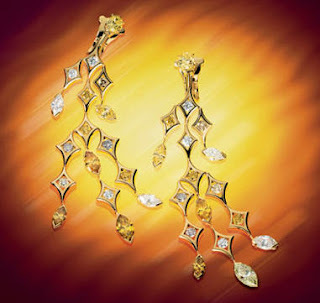 Besides the classic oval, new shapes are emerging: marquises, sugarloafs, pyramids, and even star and cross-like cuts. Yellow gold is the preferred gold style of the summer and is making a comeback set to harm sales of whiter shades of gold,according to jewellery experts. New season jewellery trends show that inspiration is very much coming from Greek and Roman mythology and it has a heavy and archaic style. This is in contrast to white gold or platinum styles which are lighter and more contemporary. "Yellow gold is making a great return. It's about touching. Yellow gold is sending you a warm message. White gold is colder, more anonymous." [violet]Rose gold is also increasing in popularity sparked. [/violet]And pearls have also made a comeback with many women, pearl jewellery for family heritage with a traditional, elegant look. This may have something to do with pearls being featured heavily on the catwalks this season. Major fashion designers have all sent models down the catwalks in pearls and they have celebrity patrons as well. Through a jewellery article, professionals shared their thoughts on the most important jewelry trends for the year. From bangles to cuffs , big and bold bracelets emerged as the most important jewelry trend. Yellow Gold is soon going to be high in fashion this year. These days a lot of attention is being paid to the preservation of our planet as well as the trend toward organic forms and materials in jewelry and fashion, the evolution of the green palette has become natural. From retailers to consumers, everyone is considering what’s having an impact on our planet. Jewellery designers are now showing their support to the "Green” collection, their basic purpose is to safeguard the earth: its people, plants, animals, and the natural systems on which all life depends. 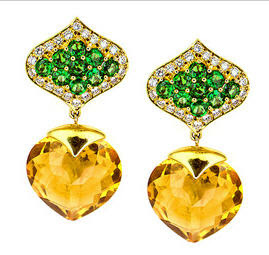 As far as fine jewelry, we have long associated green with precious and deep, rich gems such as emerald and apple-green jade or the less expensive but still intensely colored peridot. 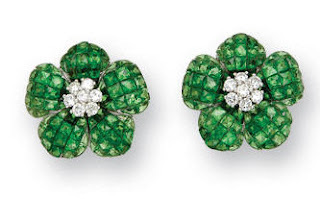 However today’s designers are experimenting with a palette that breaks from convention and features such stones as prehnite, green amethyst, green diamonds, green sapphire, chrysoberyl, tourmaline, chrysoprase, and peacock green Tahitian pearls. While this newest green color story is shown in all colors of gold, perhaps the most interesting and creative is its mix with rose gold. ** I'm going to post all the jew trends under tis topic "Jewellery Trends 2007"
** All the articles are are extracted from Jewellery magazines and was exactly copied. ** I Post the same trends in most of the jew communities, so tat every1 gets to know about the latest trends....ENJOY !! !